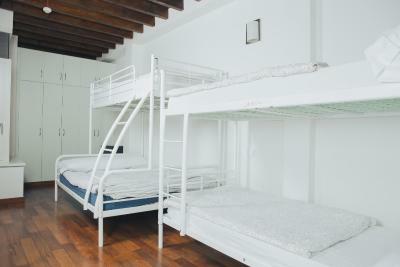 Lock in a great price for Granada Inn Backpackers – rated 8.7 by recent guests! Lovely big courtyard space in between the rooms. Good location and close to a bus stop. Spacious dorm room. We were given a huge room--we assume it was because the hostel wasn't busy during this time of the year. A very nice guy at the reception (sorry don't know name) was very accommodating and friendly. The location was very convenient for walking around in the city, the Alhambra is around a 30 minute walk, but we took a taxi from very close to the hostel. 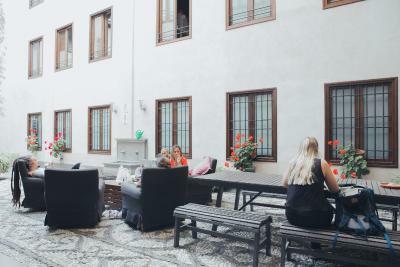 Would definitely recommend the hostel for backpackers like ourselves! Lovely property with a good location. 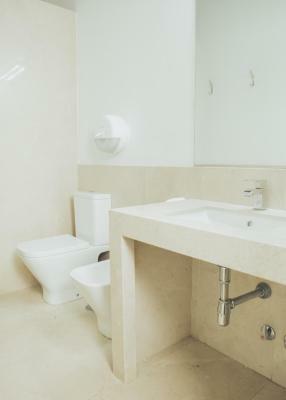 The staff were helpful, the kitchen was fully equipped, the bathroom in the room was modern. 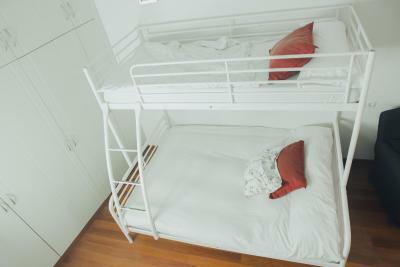 The rooma were spacious and each bed had 4 plug extension. Lockers available and free breakfast. The place is huge, so clean. Next to the center. Like it. Recommended place to stay. The bed was clean and the staff was friendly. The hostel has a kitchen. Nice and polite staff. Clean rooms, great Wifi! Telling you guys, it's all good and cheap too. Don't miss out on this fine establishment. The location is great, kitchen is good, staff is helpful and nice, the breakfast was included - it was a really nice experience. 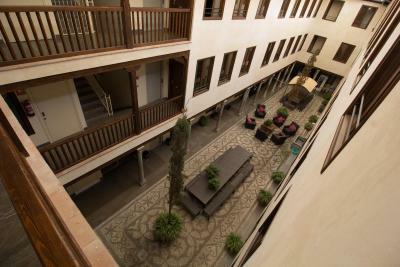 Really big room, nice and cozy place, it is like an old styled house- patio of Andalucia. Very well equipped kitchen. A small breakfast is included. Location is good just 5 min walk to main center. Clean room and bathroom. 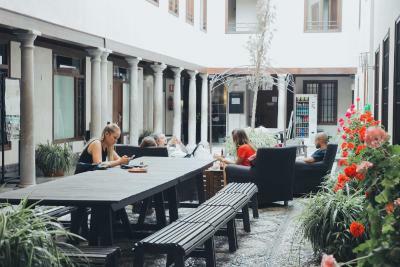 Offering a traditional Andalusian patio, free WiFi and a 24-hour front desk, Granada Inn Backpackers is centrally located, 10 minutes’ walk from the Cathedral and the old town. The Alhambra is 20 minutes' walk away. 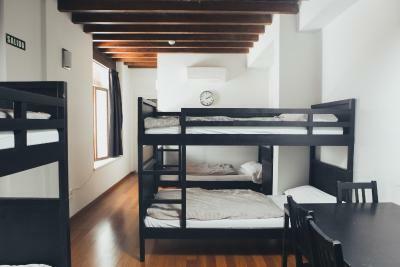 Granada Inn Backpackers offers single beds in shared dormitory rooms as well as family rooms and shared apartments. 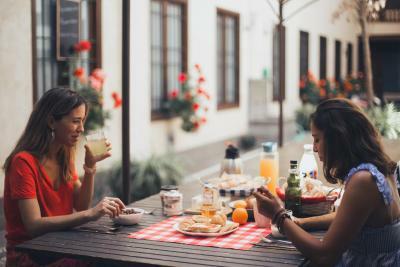 A continental breakfast is included for all guests. 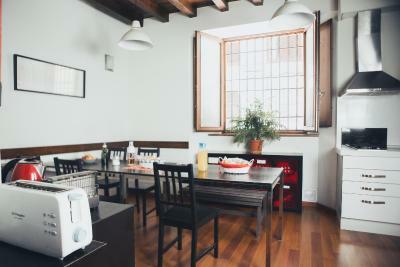 There is a communal kitchen, which is fully equipped. There is also a lounge area with 2 computers and free Internet access. The shared Andalusian patio includes sofas and chairs. 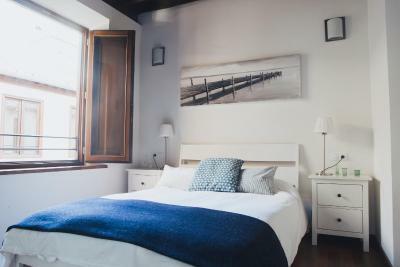 Other facilities available include a 24-hour reception and a tour desk, where the property can arrange tickets to the Alhambra Palace. 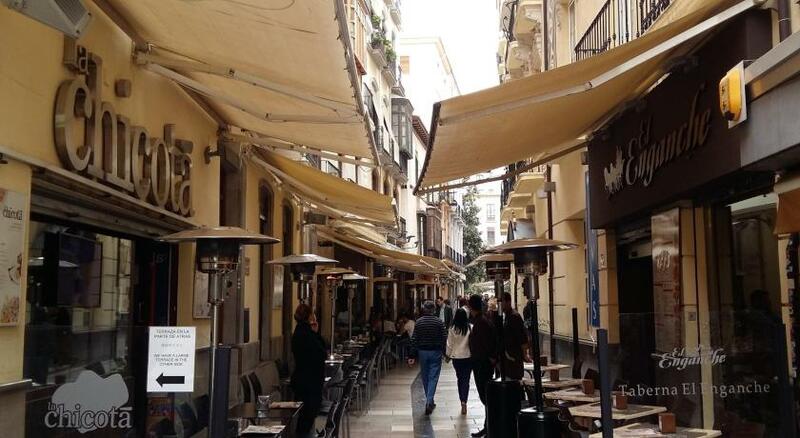 A range of bars and restaurant serving characteristic Andalusian dishes and Spanish tapas can be found in the surrounding area. 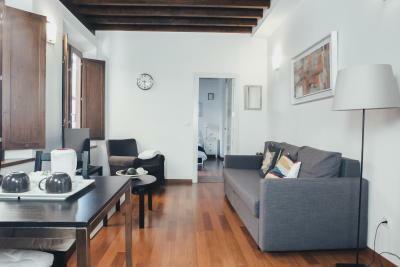 The Albaicín District is 15 minutes’ walk away while the Alhambra Palace is 1.2 mi from the hostel. 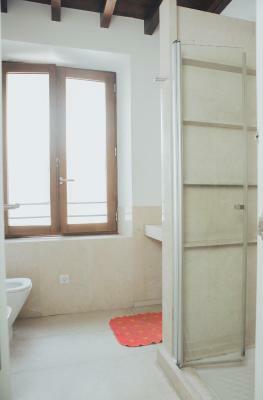 뀐 Located in the real heart of Granada, this property has an excellent location score of 9.1! 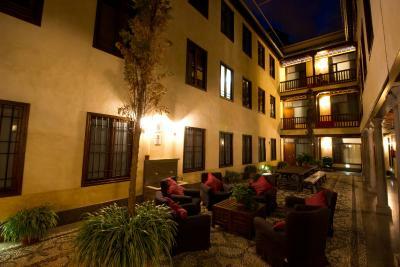 When would you like to stay at Granada Inn Backpackers? 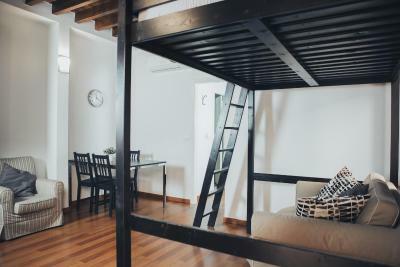 This 1-bedroom apartment features 1 bunk bed or 1 double bed. This family room features 2 bunk beds. One of them has 1 double bed. 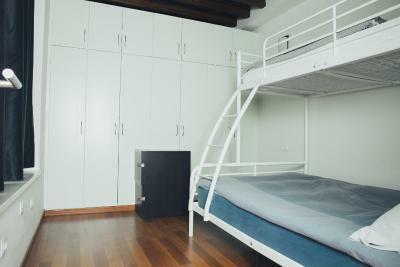 Single bed in female dormitory room. 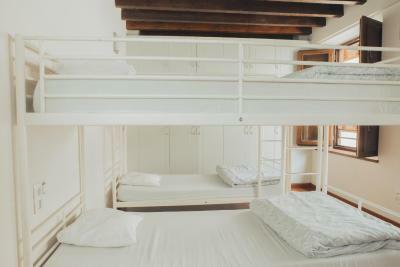 (this room features 4 bunk beds). 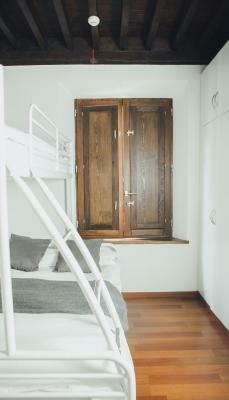 Single bed in mixed dormitory room. 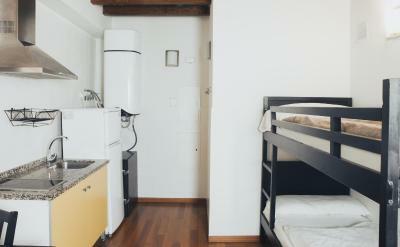 (this room features 4 bunk beds in two separate areas). 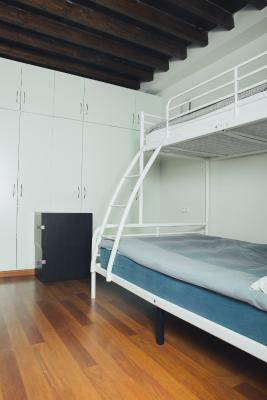 Single bed in mixed dormitory room. 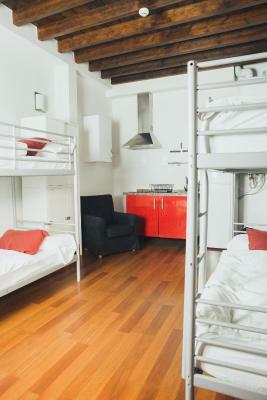 (this room features 5 bunk beds). 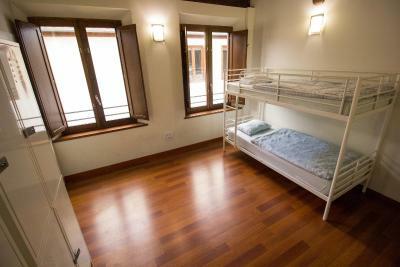 Single bed in mixed dormitory room. 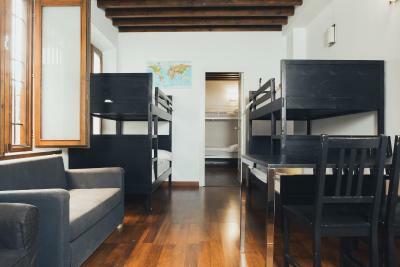 (this room features 6 bunk beds in three separate areas). Shared apartment with 2 bedrooms. 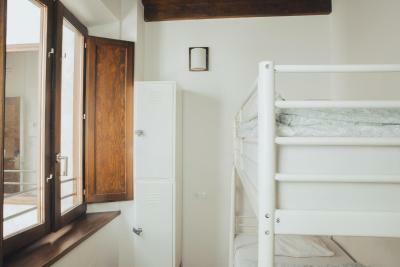 Each room features 2 bunk beds. Both kitchen and bathroom are shared. This room has a 2 single beds. It features air-conditioning and heating, and comes with a private bathroom. 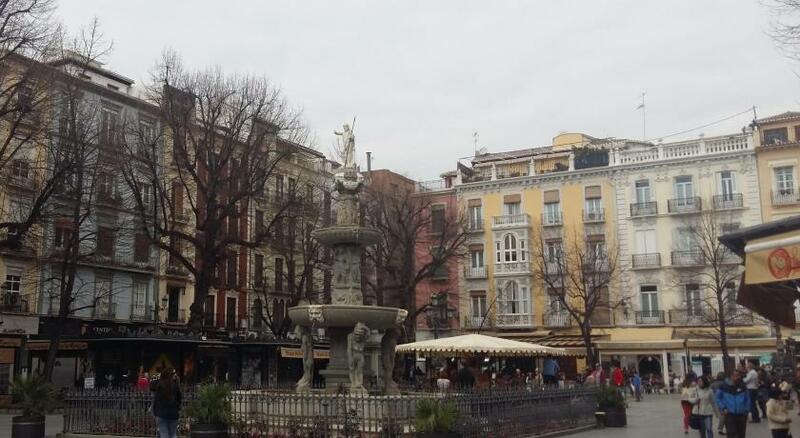 Area Info – This neighborhood is a great choice for travelers interested in ancient landmarks, architecture and old-town exploration – Check location Excellent location – show map Guests loved walking around the neighborhood! 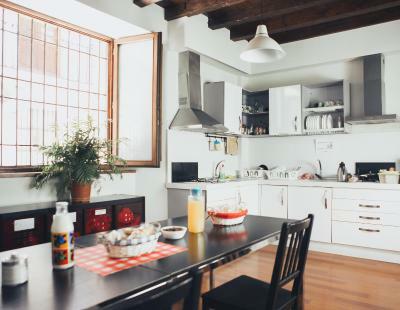 House Rules Granada Inn Backpackers takes special requests – add in the next step! Granada Inn Backpackers accepts these cards and reserves the right to temporarily hold an amount prior to arrival. Location great. I drove there and there was a car park near by, right in the centre near all the shops, great cafes and bars and 15 mins from the Alhambra. Rooms comfy and had everything you needed. Soo the person underneath me was snoring soooo loudly, and shaking the bed and it was unbareable ( i wear earplugs) so i asked the girl ln reception for another room but unfortunately the hostel was full but she gave me another pillow instead and was very sympathetic. 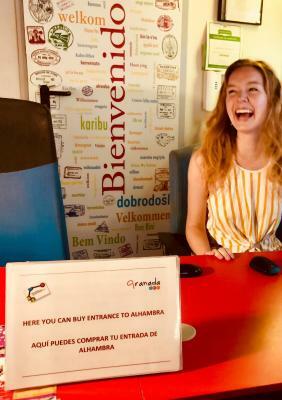 I really like the vibe that the staff of the hostel has created, the offer activities during the day like a tour guide for free in Albaicín and around Granada (which is absolutely necessary if you haven't been in Granada before) and other activities at night like Alcohol Olympics, Sangría night and Pub crawling. Very fun place to stay!! There was one bathroom in a dorm for 8 and this had the only mirror. 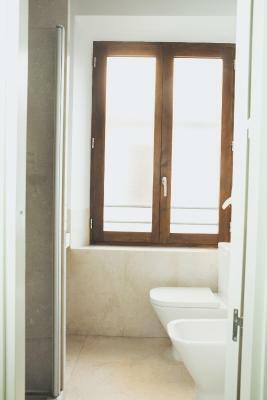 While there were 2 other bathrooms available elsewhere another couple of mirrors in the rooms would be useful. Leak in our bathroom meant the floor was wet all the time. Only main room lights, no reading lights or individual lights which isn't great for a dorm. Also light switches were not beside the beds so had to climb onto bunks in the dark. Staff at check-in were not very helpful with regard to information on Granada. I stayed at a weekend so there were 3 large groups of hens/stags so not ideal when socialising as a solo traveller. Kitchen is too small for size of hostel. 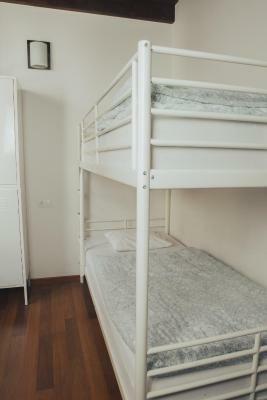 Comfortable bed, good storage for luggage, ideal central location, free basic breakfast. There were some really obnoxious male Spanish guests staying on my first night, and they made noise in the open courtyard until early in the morning. The staff don't seem to care about enforcing any sort of policy to ensure that guests who want to sleep in peace can do so. Total lack of bathrooms. 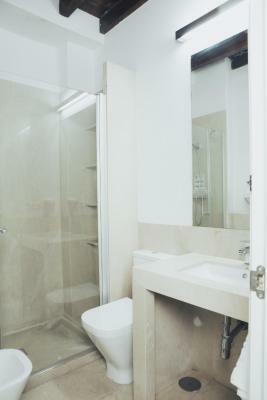 One bathroom, as in a room with a toilet and a shower (hence the ‘private bathroom’?) for two rooms of 6 beds each. There are other bathrooms located in the building but simply not enough. It’s really nice that you have privacy but not worth the wait. Location is pretty good, the bed comfortable, the patio is nice, staff friendly. We booked two beds in a 6-share female dorm but it came as a nice surprise our bunk bed was in a separated section in the room so we ended up getting heaps of privacy! Room is very clean and quite spacious. The staff were all super friendly and I'd highly recommend the sunset tour by the boys. We had a fantastic time there. Weird room devision: you have to get through a room of sleeping dudes to get to your own and waking everyone up. The bathroom was only accessible through our room so everyone from the other bedroom woke us up if he or she wanted to use the toilet at night. Street was very loud at night and the breakfast could have been better. Really comfortable place with modern interior. 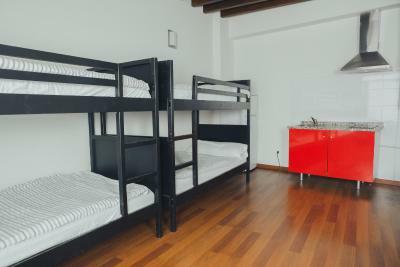 For this price tag you get a clean hostel in a central location. Everything is within walking distance. the kitchen is too small and less amenities . The breakfast is ok.
the rooms are quite nice and spacious. the beds are comfy. the washrooms are quite a good size. nice location. 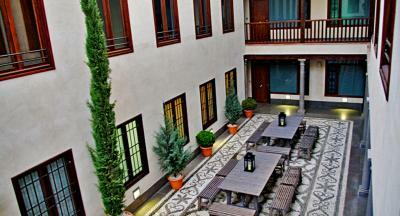 nice big spacious courtyard to enjoy ur food when the sun is out. It's a really good place, that is run quite efficiently. Just maybe don't expect community or an extra effort. I would also love a healthy option at breakfast. 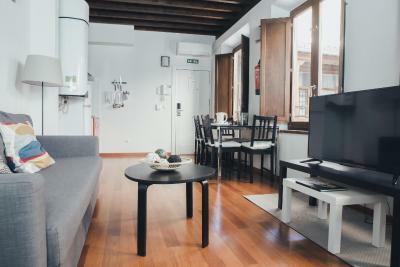 The location is very good, right in the city center. Just a few steps away from the main street, bus stops, shops, restaurants etc. All historic parts are not far either, well within walking distance. From the looks of it, it is an old building (a bit like a big riad, with patio in the middle) that has been renovated - so it's quite modern (the appliances, furniture etc. ), but still has its charm. It's also clean. Everything went smoothly, I didn't have any problems. Beautiful boutique hostel. Loved the common area. I went in low season so this must be great in high season. Decent breakfast and dining areas. I didn't cook but the facilities looked fancy. Great reception; very informative. Superb room with loads of space. There was always a line for the bathrooms and the only alternative is to go down to the first floor where one of the showers only had cold water. You should also leave your common room and kitchen open all night for those that wish to use it. The receptionist at the front desk was always nice and helpful. Both of the fellows that made the 5 euro all you can drink sangria we're golden and took us out to bars every night we were there. I cannot think of any. Maybe it is off peak season so there aren't many around, but this is not a bad point. 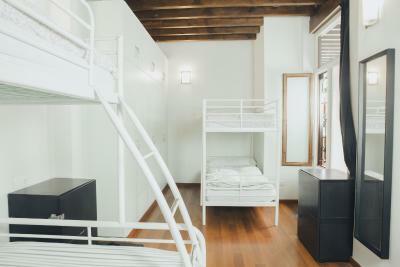 I love the design and layout of the accommodation. Well thought out and suited to travellers who want to meet people but want some space as well. I stayed in the 8-bed dorm but it is more of a 4-bed really as they are placed strategically in two different spaces separated by a door. I love the design of the en suite bathroom; it is spacious with plenty of space to hang and put your things and it is VERY CLEAN. The accommodation is tucked away in a corner and for me the first time was quite hard to find but once you know where it is, it is so easy to get around everywhere.